Coming off a 75-64 regular season in 2018 and a run to the Southern League title, the Jackson Generals will look to reload in 2019. At various moments, The Ballpark at Jackson featured eight Midseason All-Stars, three Postseason All-Stars, one MLB Futures Game selection, and thirteen different players with big league experience. Six Arizona players in Baseball America's 2018 Prospects guide came through Jackson, and three others from MLBPipeline.com's top-30 list suited up in Generals uniforms as well. The 2019 Jackson Generals will benefit from a few holdovers from 2018 who need more time at Double-A, but a fresh crop of talent should move up from the 2018 Visalia Rawhide to form the core of the new roster. VARSHO: Son of a former MLB player/coach and has played like it. Batted .286 at Visalia as a second-year pro last season. Dealt with injuries that cost him the month of July. Threw out 39% of runners. Hit .262 with 12 walks in 18 games at the highly-regarded Arizona Fall League. Pull-happy hitter will have to adjust to Double-A pitching and defensive shifts. Will share some time with Dominic Miroglio. Should get plenty of chances as Arizona's top catching prospect. 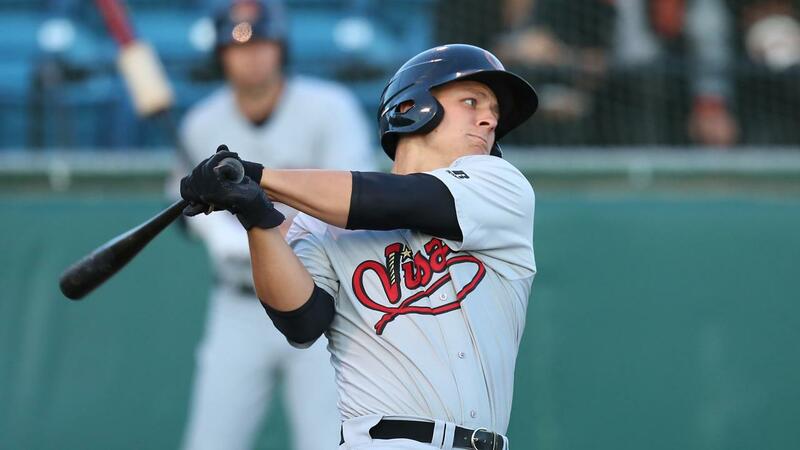 MIROGLIO: Rose from non-prospect status to lead the California League in batting average (.327) before his August call-up to Jackson. Threw out 32% of runners. Has shown limited power so far. Hit .231 in August, but tattooed SL playoff pitching (15-for-31, 9 R, 7 RBI). Batted only .200 in limited AFL time (8 games). May get a shot to move up the ladder faster than Varsho if he performs well. JONES: 2018 General landed on the DL in late April after batting .293 with 3 HR in 18 games. Came back in late July, but didn't homer the rest of the way. Must cut down strikeouts (55 in 46 games) or hit with more clout. Caught-stealing rate (4-of-25) fell far below career rate entering the year (37%). Has to make the most of reduced opportunities. MARTINEZ: Split his first full-season reps between Low-A Kane County and High-A Visalia, hitting .304/.374/.475 across 88 games. Made the most of his short time in 10 Arizona Fall League games (.300 BA, 3 doubles, 2 HR). Former Oklahoma Sooner was a 2017 Midseason All-Star at Kane County after being taken in the 33rd round in 2017. Maintains a line-drive stroke at the plate. Threw out 36% of runners overall last year, though only caught 6 of 23 at Visalia. Competitive mentality. Likely starter at Visalia if not on Jackson roster.